X-Fonter covers all the bases when fonts are concerned. 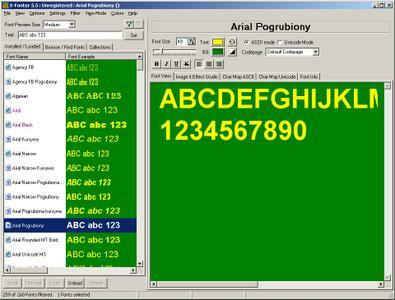 The main functionality of this program is to manage your fonts (install, uninstall, load, unload, compare, preview). X-Fonter supports all font types (TrueType, OpenType, Postscript Type 1, Raster, Vector). But what makes this product really stand out from the rest, is the intuitive and user-friendly interface. It doesn't matter whether you're a newbie or a pro, with X-Fonter you can get the job done. Finding the right font is often a difficult task, but X-Fonter makes this job easy for you. You can create your own color schemes and use your own preview text. There's a character map included for both ASCII and Unicode, so you can easily find out how a specific character looks, or whether that specific character is included in a font. Additionally, It also allows you to make nice 3D graphics (transparent GIF supported) that you can use for your webpages, emails and much more… The image editor includes some nice effects, like shadows, gradient colors, outlines and blurring. This new version of X-Fonter lets you manage your fonts by creating collections that you can define yourself. 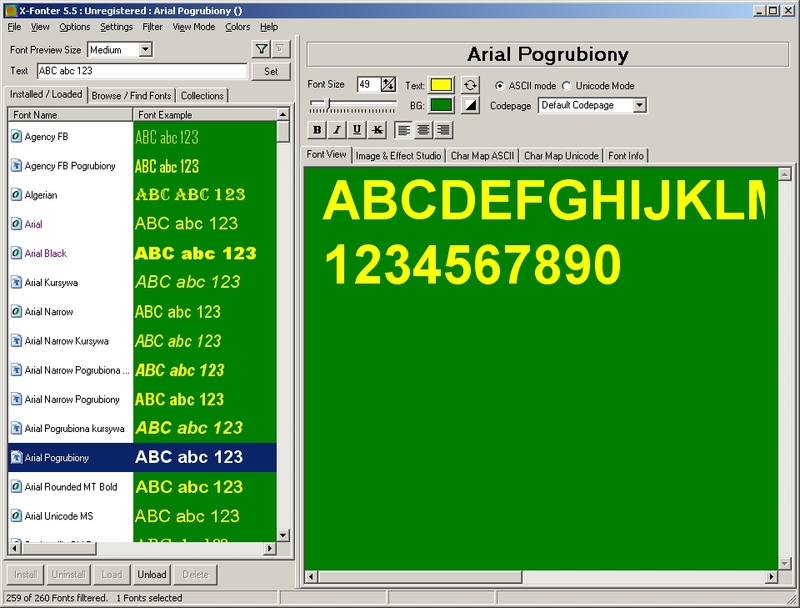 This gives you full control over your fonts and makes working with them a lot easier.